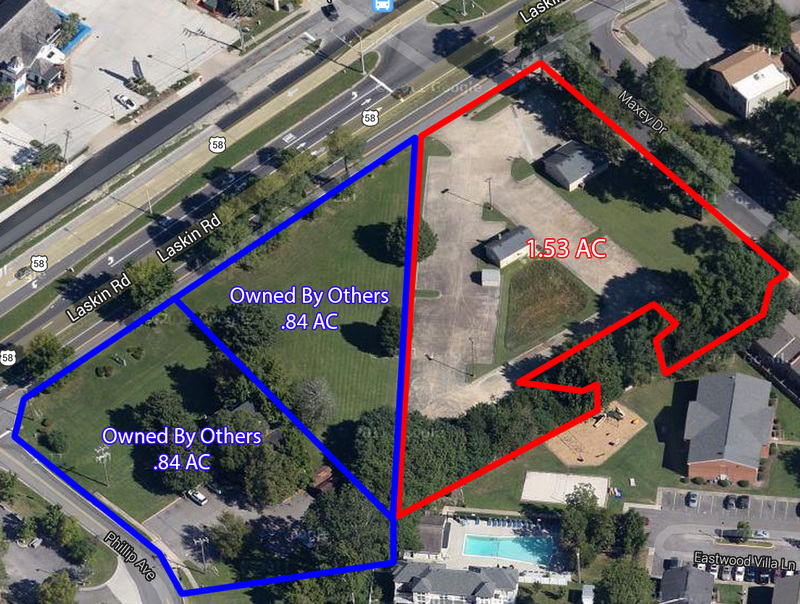 This 1.53 acre plot is available for sale or lease. Located on Laskin Road directly across from the Regency Hilltop Shopping Center, this prime location has immediate access to Laskin Road and I-264. It is only 4 miles away from the Virginia Beach Oceanfront and has a traffic count of 30,000 AADT on Laskin Road.